International Overdose Awareness Day was initiated in 2001 by Sally J Finn at The Salvation Army in St Kilda, Melbourne. Since 2001, many community members as well as government and non-government organisations have held events to raise awareness and commemorate those who have been lost to drug overdose. 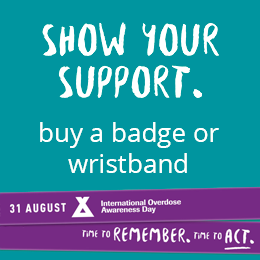 Since 2012, International Overdose Awareness Day has been coordinated by the not-for-profit Australian public health organisation Penington Institute. Are you planning to hold an event for International Overdose Awareness Day? Register your event here. You can also show your support by wearing a badge or wristband.